Head to Lincoln Road and Collins Avenuefor some retail therapy. We've included these beaches for you: South Beach and Hollywood Beach. You'll find plenty of places to visit near Miami: Sawgrass Mills (in Sunrise), Fort Lauderdale (Fort Lauderdale Beach & Stranahan House) and Shark Valley (in Everglades National Park). 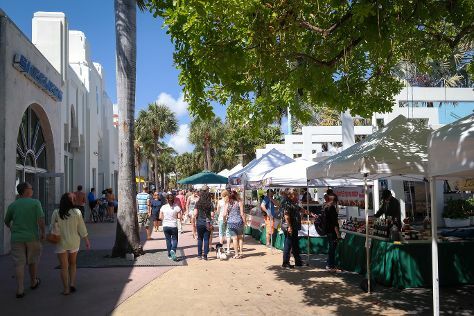 There's still lots to do: shop like a local with Ocean Drive, buy something for everyone on your list at Bayside Marketplace, admire the striking features of Art Deco Historic District, and see the interesting displays at Vizcaya Museum and Gardens. To see more things to do, traveler tips, other places to visit, and other tourist information, you can read our Miami trip itinerary builder site . In June, plan for daily highs up to 89°F, and evening lows to 77°F. Finish your sightseeing early on the 12th (Wed) to allow enough time to travel back home.